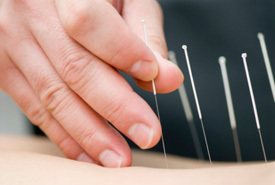 As an ideal adjunct to chiropractic care, our doctors use acupuncture when we see health problems that seem caused by disruption to energy pathways in your body called meridians. This centuries-old healing procedure focuses on the integrity of bodily systems, not specific conditions. Ready to get started? Contact our Wheaton healthcare center today!